I had mine embroider from a local shop. You should look into getting your headrest laser engraved. I have an uncle in MD that laser engraves floor mats and they look awesome. We are going to engrave my headrest soon. Will send pics when done. This is a pair I made using vinyl bowties, turned out really nice. Sold them on Ebay. This guy made the bowties he does good work at a good price. Have used him often. Last edited by ssdriver; 02-03-2014 at 12:22 PM. Just wondering what body kit you used? Also what brand the wheels are? I am having a hard time finding black wheels that look good. it's getting hard to find this bolt pattern in black wheels. What car are you referring to? On a 2006-2007 Monte Carlo they will fit. On a 2000-2005 I believe the posts are just a tad too wide. This was good to read, because I just found a couple decent-looking sets on eBay. Does anyone know why they made these for the Impala but not the Monte? Given the relative flashiness of the two cars, as well as the history of embroidered headrests in the 2000-05 Monte, it makes no sense. I think the Monte was discontinued already when they started production on the headrests. 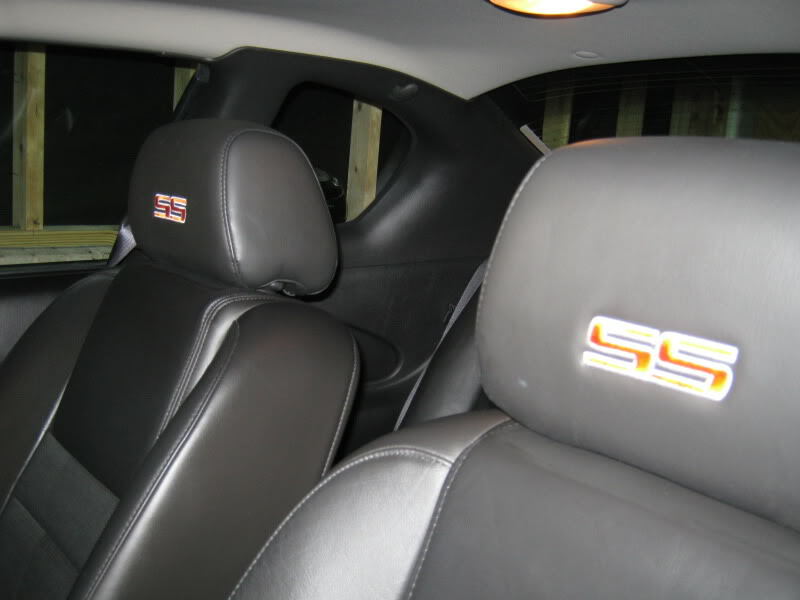 Try Jax seat covers, I got a set of Grand National seat covers for my 1987 El Camino and they embroidered the SS logo on the headrests. They don't sell the newer Monte Carlo headrest but give them a call, if you can send them your headrests they may be able to embroider the SS logo on them. Heading to Embroidery SHOP tom! Need OPINIONS!